Note: I am using a custom masterpage. I would like for it to auto adjust. 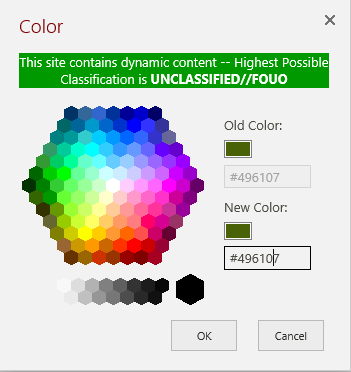 I tried using F12 to figure out what CSS element may be affecting it, and even tried changing some values, but I am unable to figure it out. Note: You will notice there is a classification banner in the dialogue box. That is because I added a custom div to my masterpage so the banner will appear above the suitebar. I even tried removing the custom div to see if that was the problem, but the problem persists. I do not see any differences between the original and my custom css with respect to what you suggested. Specifically, the ms-dlgFrameContainer are the same. No custom CSS is affecting this. 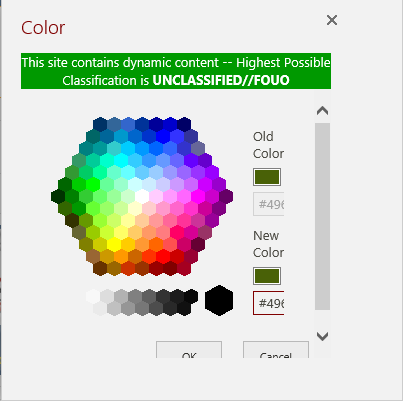 Now if I go to the #contentBox I find the below custom CSS. If I adjust the #contentBox above and then also change the above margin from 10px to 0px, I get what I want (see pic below). 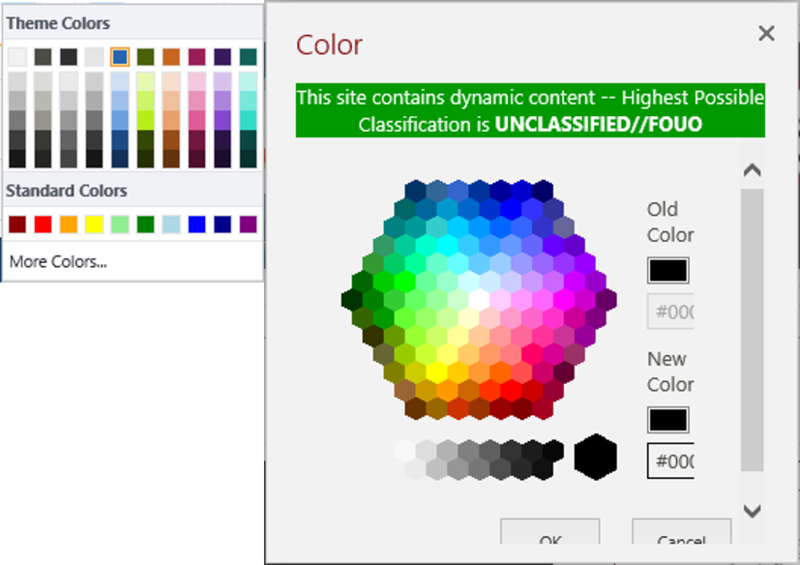 So my question now is, where in my custom css do I reference the .more-colors-picker to change the margin and how? You will have to play with what to reset the margin to based on your design and CSS. It may be inherit, initial, or a specific value like 0 or 5px. 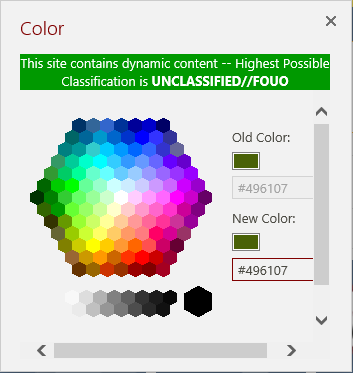 I also updated the classification banner div in my custom.html with a class name and added custom css. 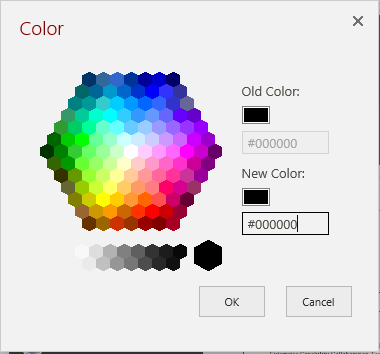 Now the banner doesn't show up in the modal-dialog box...which I believe was also adding to the issue. How to Auto close ShowModelDialog box using JQuery?